A lot of the times you don’t feel like going out to catch Pokemon and you ask me all the time, Can I play Pokemon Go on PC? 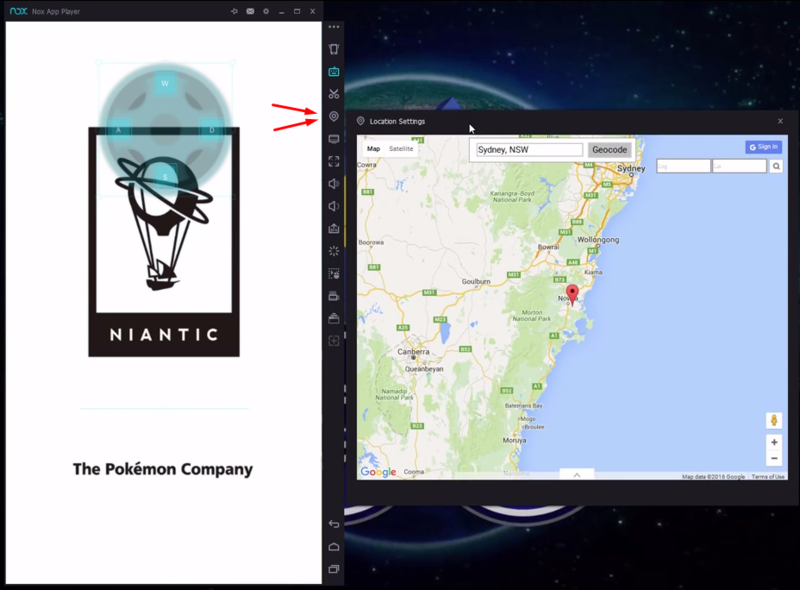 Today I want to show you how to run Pokemon go on your PC the easy way. I found an easier way to play Pokemon Go on PC without BlueStacks. All you need to download is the Nox App Player and the Pokemon Go APK. 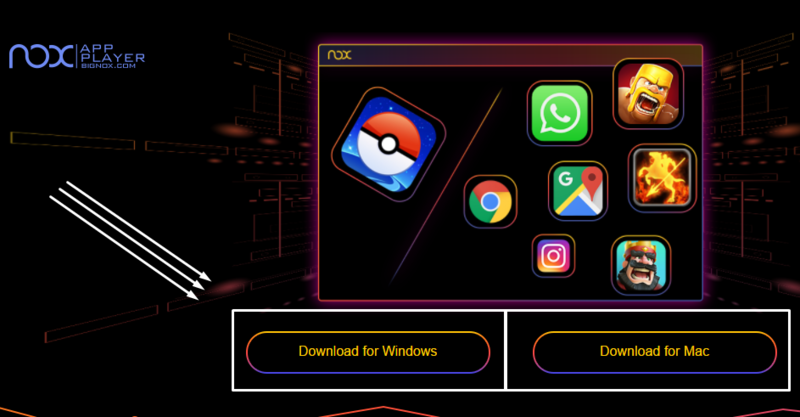 Let’s see how to use Nox App Player to play Pokemon Go on PC without BlueStacks. 2.2 How to catch Pokemon? Before we get started there is a chance that you could get banned. I have heard of people being banned for an hour, two hours, a day, some people have even said that they’ve been banned permanently, which I don’t believe myself. But I have reached level 14 basically cheating. I don’t recommend doing this. I just wanted to see if this would work. The account I am using on PC is an account that I have been using solely for this. On my iPhone, I have my real account that I use when I’m out and I catch me a couple Pokemon here and there. And that’s the account that I’m counting on. I know I won’t get banned because I am using it correctly. With that out of the way let’s get started. As we all know that Pokemon Go was all the rage when it came out. Everyone was writing about it and making videos about it. We also contributed to that trend by providing Hacked versions of Pokemon Go for both iOS and Android. A lot of people were looking for ways to play Pokemon Go on a computer. Bluestacks is a great solution for that but rooting blue stacks was very difficult. To solve the problem of Android games on PC, Guys over at BigNox came out with an Android emulator called Nox App Player. 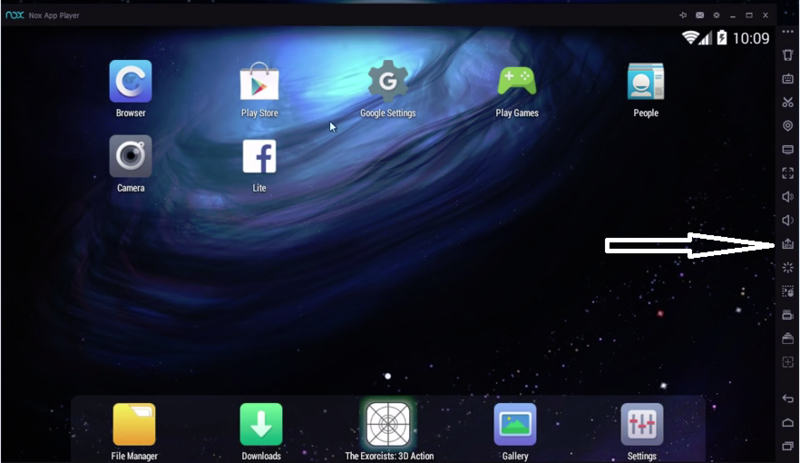 Nox is an Android emulator just like BlueStacks but it has some extra features. For example, you can root Nox App Player within 1 minute, You can also fake your GPS location without any app. 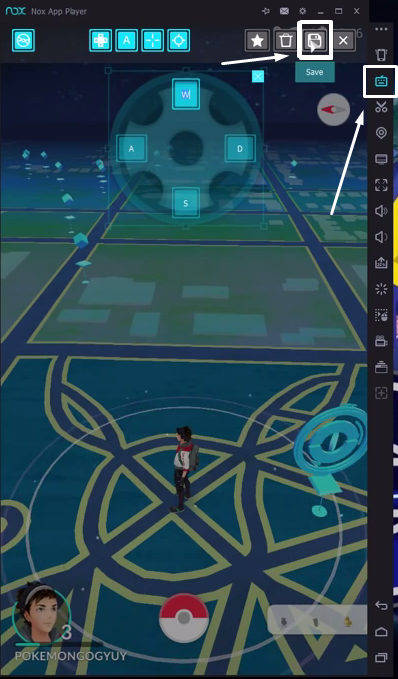 Features like these made Nox App Player to be the best Android Emulator for Pokemon Go. Nox App Player is not solely built for Pokemon Go on PC. 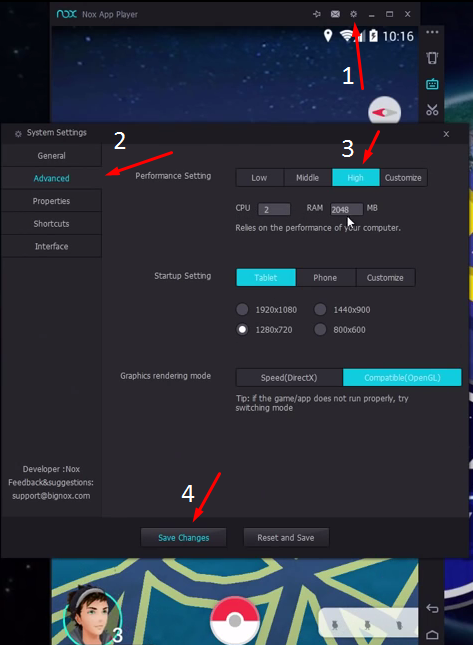 You can play any android game you want on your PC using Nox. First of all, we’ll open up our browser and navigate to en.bignox.com/pokemongo. Here you will need to click the download link for your computer. I am using a Windows Computer so I will select Download for Windows. Nest thing you will need is the APK file for Pokemon Go. I recommend you to download the latest version of Pokemon Go APK from the link given below. I’ve downloaded both and I’ve placed them in a folder on my desktop. 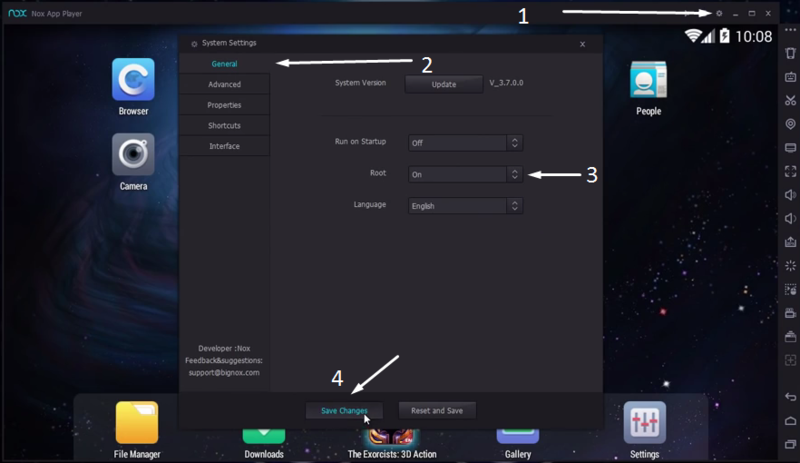 Double-click on Nox setup and install Nox App Player. It is very self-explanatory. Click install, wait for it to install, Click start. This method, in my opinion, is better than BlueStacks. You are able to move around the map in Pokemon Go using your W, A, S and D keys on your keyboard and you move at a walking pace. So it’s going to be harder for Niantic to find out that you’ve been cheating. When the Nox app player is up and running, we need to gain Root access. All you do for root is click on the little gear icon and under General, turn root ON and Save Changes. If Nox App Player asks you to restart, Click Restart now and this will restart Nox for us. When the restart finishes, Nox will be rooted and we need to install our Pokemon Go application now. I’ve had trouble in installing the APK in the past. Some people have said that you can drag the APK directly onto the Nox window to install it. 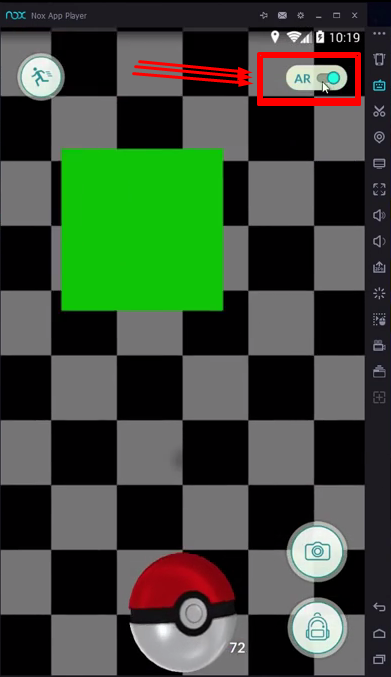 It does not work for me so on the sidebar here you just need to navigate to the little APK icon with the arrow. Click on it and navigate to where your Pokemon go APK is. Double click on it and Pokemon go is now installed and it automatically starts for us. After Pokemon go starts for the very first time you’re going to see GPS signal not found. We want to close Nox and reopen it. You will have to open Pokemon go again. On the side panel, you will see this little icon it looks like a little GPS pin. Click on it and it’ll open a Window. Here you can find an address close to your address. Somewhere you know has a lot of Pokemon and a lot of people playing Pokemon GO. Click OK and that will set your fake GPS location to exactly where your marker is. On Pokemon Go, you will need to enter your Google Account. I recommend that you make a separate account for this cheat. That is because you don’t want your main account to get banned. If you are seeing a gamepad on your Pokemon Go app then you can hide it if you want to. Click the button shown in the image below and turn the opacity all the way down. If you want better performance out of this, We’ll go to Our Settings > Advanced and set the Performance settings to High. It’ll give you 2 CPU cores and your RAM at 2 GB. Click Save Changes you can Restart now. On Low, it will be laggy. When you will try to turn and catch Pokemon you can move around using your W, A, S, D keys. It is very slow movement but it does simulate walking so that’s a really cool thing. OK it’ll take me right over there now I’m around where there are tons of lures and we got our first Pokemon here oops we’ll click this one sometimes you just got to get right on them the correct way double click turn your AR off and go catch some Pokemon. If the Pokemon keep escaping from you, you may need to restart the app player. It could be server issues or you could have been banned for an hour. There are many things that it could be. It’s probably going to be server issues if you haven’t been jumping around from state to state. So I stay in my same City and when I move, I just go to the downtown using the map and the app thinks that I drove downtown and I’m just walking around downtown now catching some Pokemon. When you click on a Pokemon you want to catch, turn your AR off and go catch some Pokemon. This is much easier than BlueStacks. It’s two applications that you download, the Nox app player itself and the Pokemon go application. If you will press S, which will bring you down. It takes a little bit of time to register. This Nox for Pokemon Go works really well. And it does simulate the walking experience so the servers are going to be less likely to ban you. There is still a chance but this is the best way that I found. That’s it, for now, guys I hope you have fun playing Pokemon go on your PC or laptop using Nox. If you have any questions or comments leave them down below. I’ll try my hardest to get back to you as soon as I can. Also, don’t forget to follow us on Twitter for more updates like this. Hey bro, I have tried as you said but It says the device is not compatible with Pokemon GO. Do you know what I’m doing wrong? How can I fix it? I think the Nox app is down. Can’t get the game working. Giving the error “device is not compatible with Pokemon GO” Was using it fine for about 24 hours staying local. i cant get pokemon go to work on anything. can anyone help? I cannot figure out what settings I have to use to gain access to the game. Furthermore, do I have to install magisk in order to bypass Google SafetyNet? Nox App Player is a great ! It provides tons of features, at absolutely zero cost. Does it means this is no longer working?